Legendary investors such as Leon Cooperman and Seth Klarman earn enormous amounts of money for themselves and their investors by doing in-depth research on small-cap stocks that big brokerage houses don’t publish. Small cap stocks -especially when they are screened well- can generate substantial outperformance versus a boring index fund. That’s why we analyze the activity of those elite funds in these small-cap stocks. In the following paragraphs, we analyze PTC Inc (NASDAQ:PTC) from the perspective of those elite funds. PTC Inc (NASDAQ:PTC) was in 30 hedge funds’ portfolios at the end of the third quarter of 2016. PTC has seen a decrease in hedge fund interest of late. 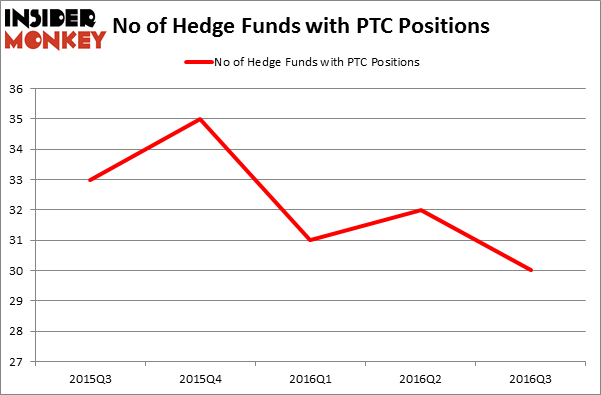 There were 32 hedge funds in our database with PTC positions at the end of the previous quarter. The level and the change in hedge fund popularity aren’t the only variables you need to analyze to decipher hedge funds’ perspectives. A stock may witness a boost in popularity but it may still be less popular than similarly priced stocks. 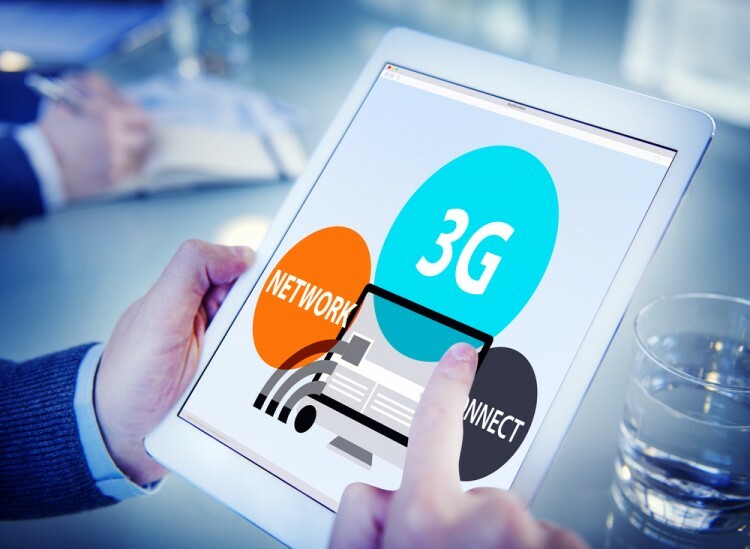 That’s why at the end of this article we will examine companies such as Sally Beauty Holdings, Inc. (NYSE:SBH), Scotts Miracle-Gro Co (NYSE:SMG), and White Mountains Insurance Group Ltd (NYSE:WTM) to gather more data points. How are hedge funds trading PTC Inc (NASDAQ:PTC)? At the end of the third quarter, a total of 30 of the hedge funds tracked by Insider Monkey were bullish on this stock, a decline of 6% from the previous quarter, with hedge fund ownership falling to a yearly low, though hedgies still own nearly 20% of the company’s shares. With hedgies’ positions undergoing their usual ebb and flow, there exists an “upper tier” of key hedge fund managers who were upping their stakes substantially (or already accumulated large positions). When looking at the institutional investors followed by Insider Monkey, Ricky Sandler’s Eminence Capital has the biggest position in PTC Inc (NASDAQ:PTC), worth close to $107.8 million, comprising 1.8% of its total 13F portfolio. The second most bullish fund manager is Citadel Investment Group, managed by Ken Griffin, which holds a $90.7 million position. Other peers that are bullish encompass Andrew Immerman and Jeremy Schiffman’s Palestra Capital Management, David Stemerman’s Conatus Capital Management, and Israel Englander’s Millennium Management. 5 Stocks Hedge Funds Are Betting Against Insiders The Big Short’s Michael Burry Reveals His New Stock Picks Five Dow Jones Stocks That Can Outperform The Market 5 Micro-cap Stocks Billionaires Love The Most Constellium NV (CSTM): This Metric Is Giving A Huge Buy Signal Is Becton Dickinson and Co (BDX) A Good Stock To Buy Right Now?